An appeal for information has been launched following the theft of an off-road bike. 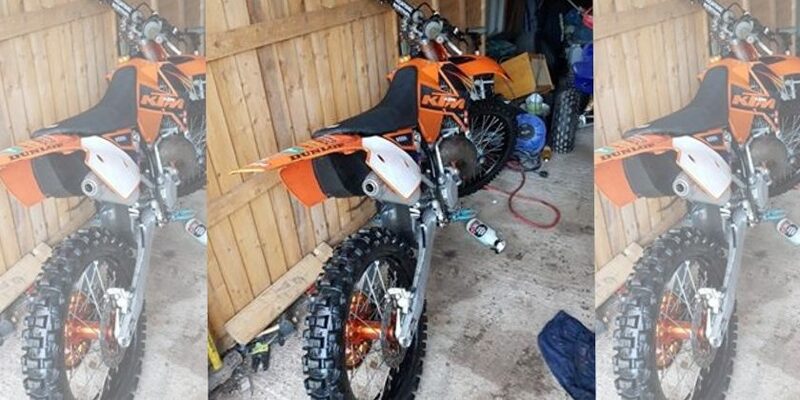 Sometime between 11:30pm on Sunday 10th February and 6:45am on Monday 11th February unknown offender/s have gained access to a garage at a property in Llay and stolen a KTM SX125 off road bike. The bike is orange in colour, and has distinctive features :- initials JB stamped into the bike, orange black wheel centres, air box containing three holes with a spoke to facilitate air flow and gold sprockets.